Every safari camp or lodge we use has been personally tried and tested by one of our team. It’s taken as read that they all offer magnificent wildlife viewing but some just offer that little extra which elevates them to another level. Here are a few of our favourites. 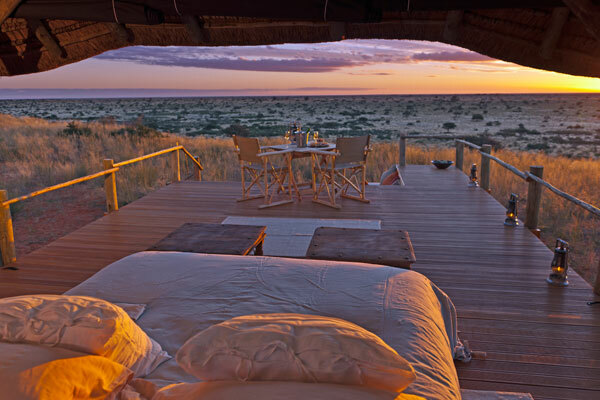 The Tswalu Reserve is the largest privately owned wildlife reserve in South Africa and consists of over 100,000 hectares of dry Kalahari desert with stunning red sand dunes. There’s a surprising diversity of wildlife including 240 different types of birds and 80 mammal species – it’s the best place in Africa to see the elusive pangolin and aardvark. 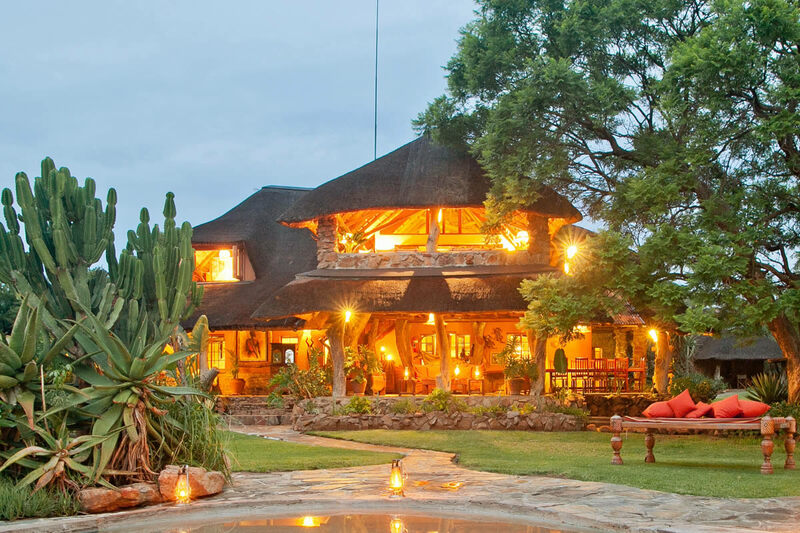 With the gloriously luxurious Tswalu Tarkuni and Tswalu The Motse being the only two properties on the reserve, exclusivity is ensured throughout your stay. There’s no waiting your turn on wildlife viewing here and exploring this wilderness in almost total isolation is quite magical. The Makgadikgadi Pans in Botswana used to be filled with water as part of the ancient African super lakes. Now they are huge spaces of nothingness with moon like qualities, where you can see the curvature of the earth in the distance. Hidden in these vast open spaces is a variety of wildlife from shaggy coated brown hyenas to gambolling meerkats, who like nothing more than to use people as viewing platforms. Complementing this unique landscape are a handful of camps among which are Jack’s and San – two gracefully appointed tented camps which offer a wonderful base from which to experience this stunning desert. Immerse yourself in the elephant herd at Abu Camp and by the time you leave you will have explored the Okavango Delta and its wildlife alongside them. 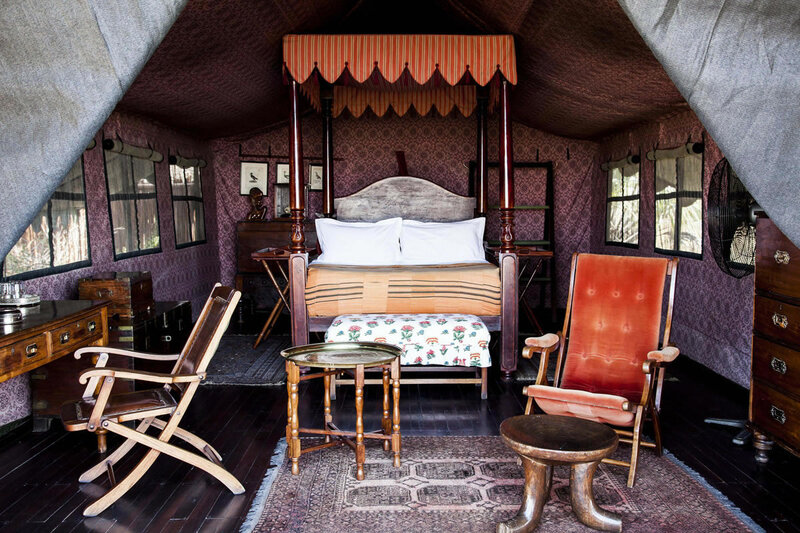 There’s even the chance to sleep out under the stars overlooking the elephant boma. 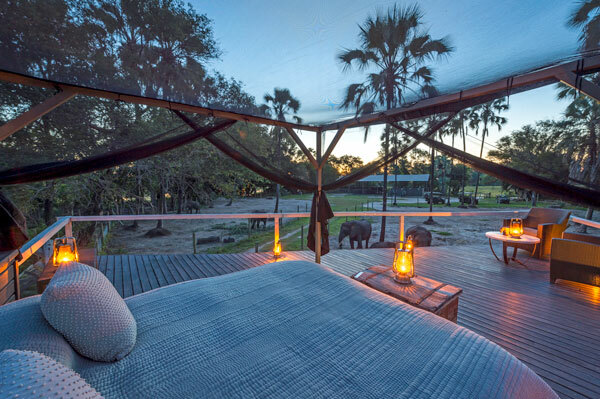 The ‘star bed’, complete with a bathroom and open shower, is raised on a platform high above the ground and guests are lulled to sleep by the contented rumbling and low snores of the elephants below. With just a mosquito net canopy to cover the bed, it’s camping in the raw – but what could be better than the elephants below and fabulous stars of the southern hemisphere above? Set in a private reserve in South Africa’s Waterberg region and booked exclusively, Leobo Observatory is an extraordinary private safari house. It’s one of those astonishing spots that you will keep you talking for years to come. Equipped with a private vehicle and guide, quad bikes, horses, an off-road buggy, mountain bikes, clay pigeon shooting, fishing tackle, and a telescope, you’ll be spoilt for choice – in fact, you can pretty much do anything you like. Just ask. 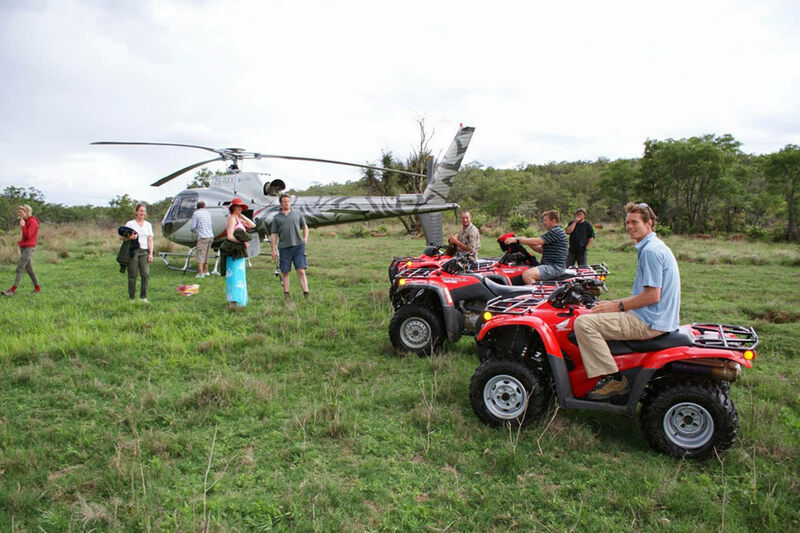 There’s even a helicopter on site, ideal for access to the more remote spots on the reserve, heli-kayaking, heli-fishing, or a heli-picnic on the mountain top. The Observatory can accommodate a maximum of ten people (six adults and four children). Ideal for two small or one large family. 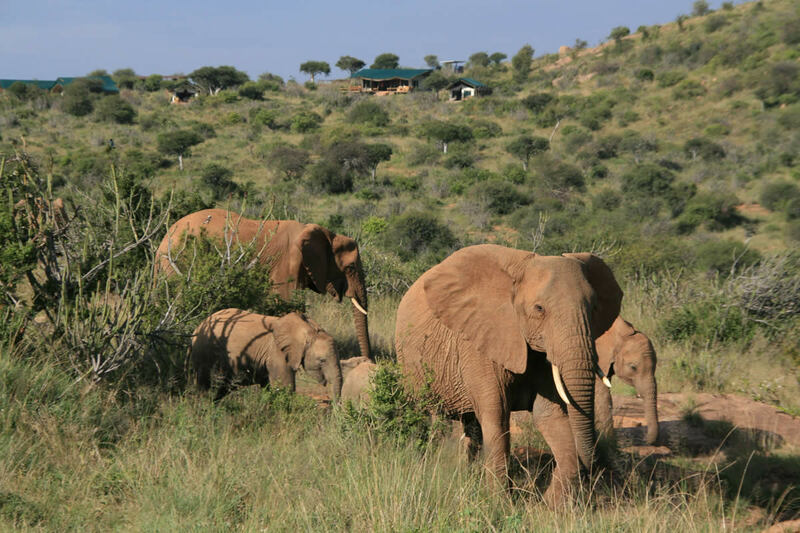 Laikipia Wilderness is a 10 bed tented camp close to Mount Kenya and the Ewaso Narok River, owned by Steve and Annabelle Carey. 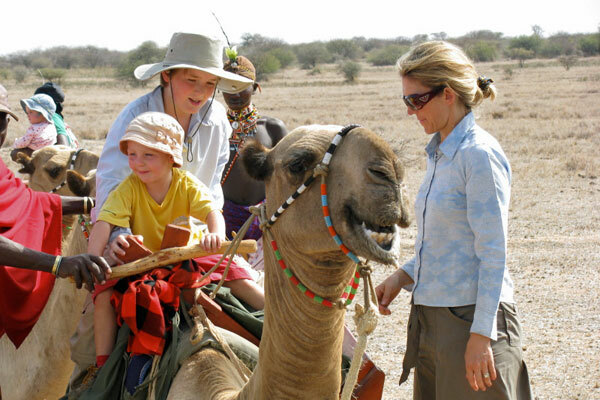 With years of experience in the bush, and their own children brought up in camp, it’s the perfect spot for families. Each day is thrilling with activities tailored to suit guests both young and old. With an area chock-full of classic African wildlife – elephant, giraffe, hippo, Grevy’s zebra, leopard, wild dog and lion to name just a few – day and night game drives are fantastic for all ages. However it’s the other activities that really make this a family adventure; walking safaris, tracking wildlife on foot, swimming, tubing and fishing in the river, village visits alongside some of the team from the lodge, camping out under the stars, or spear throwing lessons and competitions. 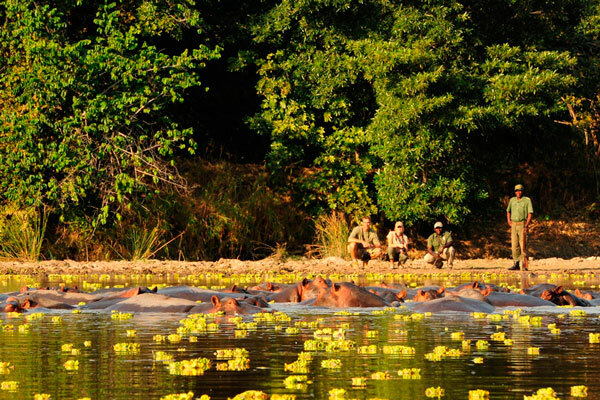 Zambia’s South Luangwa Valley boasts some of the best guides in Africa. The walking is second to none and the wildlife quite magnificent. 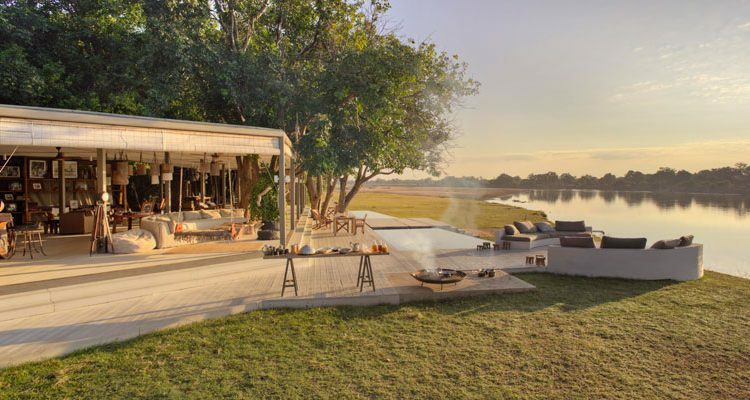 Less known for the uber-luxury camps found in Botswana and South Africa it’s been interesting to see the success of the recently opened Time + Tide Chinzombo Camp. 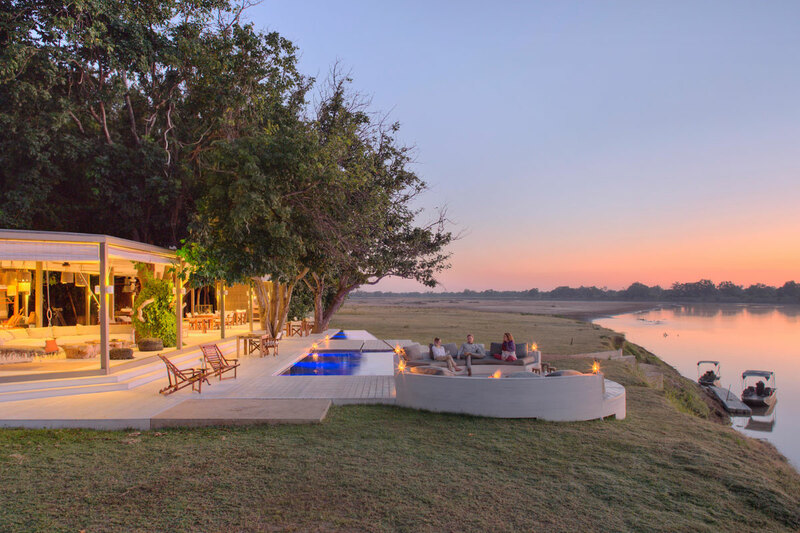 Set in 60 acres of private land with spectacular views over the hippo filled Luangwa River the camp has brought levels of comfort, style and elegance previously unseen in the area. Its six spacious villas boast cool bedrooms, luxurious bathrooms and private plunge pools on shady decks. There’s a yoga and exercise area, a spacious open plan bar, library, swimming pool and spa facilities. The wildlife is with wonderful opportunities to see elephant, hippo, giraffe, lion and leopard amongst many other plains game species. With the most senior members of the legendary Norman Carr Safaris guiding team based at Chinzombo guests can be sure of memorable game drives – by both day and night – and exhilarating walking safaris. We would be delighted to help you plan a holiday, or answer any questions about the best time for visiting Africa on a safari. Our team of experts have travelled widely throughout Africa. 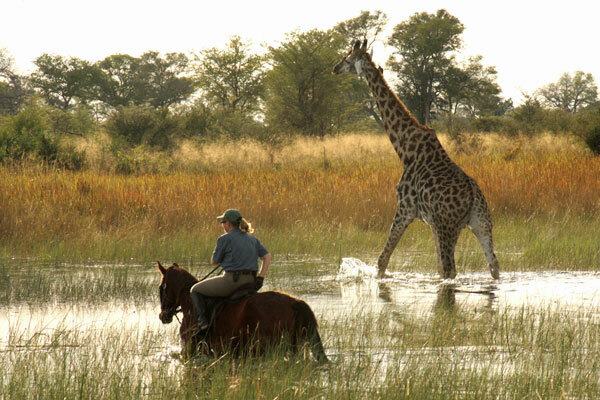 They can offer expert advice on every type of safari from beach holidays to riding and primate safaris and the best safari camps. If you would like to talk to someone who has been there and done it, please just send us an email or give us a call.